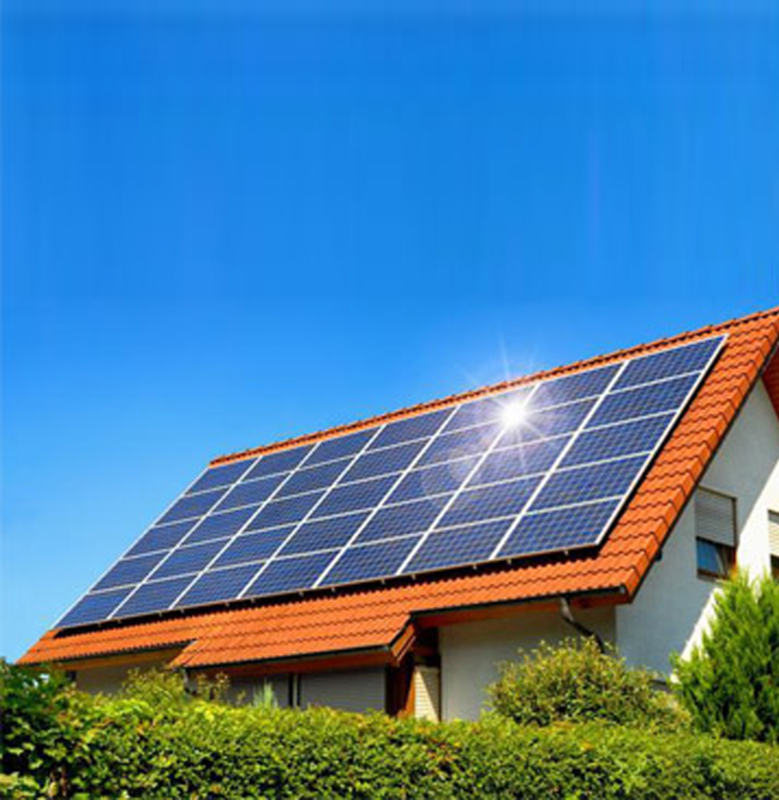 ROOFTOP Solar System generates electricity from sun using the solar panels mounted on roof of Commercial, Residential, Non-institutional or any industrial buildings. Depending upon shadow-free area available on the rooftop, a plant of size 1–500 kW may be installed, as per requirement. Solar system comprises of electrical and electronic equipment such as solar modules, inverters, cables, switch gears etc. When all these components are combined together and placed in open space facing sunlight, the system starts generating electricity. The electricity thus generated can be stored in batteries or used directly by the consumer. Searching for experience, reliable Solar Rooftop Developer, Solar Rooftop Supplier, Solar Rooftop Projects Developer in Ahmedabad, Gandhinagar ? Contact Hatkesh Engineering Today for Solar Rooftop. Low cost of electricity generation. Cost of power generated from solar is around Rs. 5.8–6.5/kWh. Cheaper than diesel power- The cost of power generated from diesel is around Rs. 16–18/kWh which is much higher than solar electricity cost. Reduced pressure on the local electricity grid. No Battery storage system needed..